One of the seven Passport Office’s in the United Kingdom is situated in Durham and is open Monday to Friday from 8.30am to 5.00pm and also Saturday from 9.00am until 3.00pm. The office renders both the Fast Track and Premium passports. However securing a first British passport will take up to 6 weeks unless its a childs first time passport as they can utilize the 7 day Fast Track service. 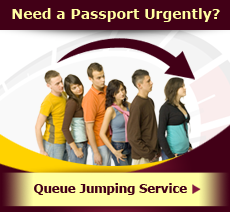 It is advisable that you do not make any travel arrangements until you receive your passport. 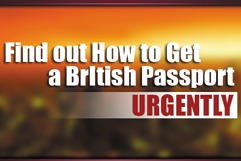 Getting a first British passport applies if you have never had a British passport before or you were previously included in your parents passport. Consumers should be aware that children can no longer be included on their parents passport, they must instead have their own child passport. Passport fee’s range from £46 to £137 depending on the service used. A list of passport fee’s can be found here. The Premium Service is no longer available for those under 16yrs of age or for adults when it is their first UK passport. As an independent company we provide the below package for consumers looking to apply for and renew their passport. Our services and charges can be avoided by visiting Her Majesty’s Passport Office directly or by visiting Gov.uk. The list of our services and charges can be found by viewing the below comparison chart. The range of passport fees can be found here. If you are unable to attend the passport office yourself, it is possible to authorize someone to go your behalf, to do this you will need to fill in and sign an authorization letter. Therefore the person lodging your application will be required to bring identification with them, such as their own passport or driving licence. Parents or guardians securing their childs passport will not need to an authorization letter. 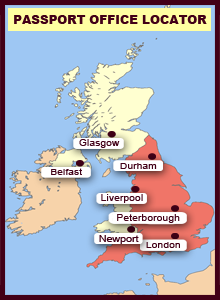 The nearest office North of Durham is the Glasgow Office to the South the closet office would be the Liverpool office. If an interview with the Identity and Passport Service (also know as Her Majesty’s Passport Office) is missed and it is not cancelled or rearranged then your application may be withdrawn and you will have to apply again. If you cannot make your appointment it is important to give at least 24 hours notice the The Identity and Passport Service, if you cancel on the day of your appointment then you will not be able to get another passport appointment for 24 hours. - If you cannot be easily recognized from your previous passport photograph. The counter-signatory must have known the applicant for at least two years and not be related or be personally involved with the applicant. The individual providing the signature must live in the UK (as in Section 10 a UK address will have to be provided), be a British or Irish passport holder themselves (as they must provide their passport number) and also have a profession. The Identity and Passport Service may wish to check that your counter-signatory is genuine, the profession and identity of the individual will be checked. If the person cannot be contacted or they do not meet the requirements, then you may be required to start the whole process of obtaining your passport again and fill in a new application form and provide another counter-signatory. The individual providing the signature, must check the form and fill in section 10, by signing they are confirming that the information provided is true to their knowledge. It is a criminal offence to help someone secure a passport under false pretenses. They must then sign below this statement and add the date.